Gilda Music Lounge is happy to welcome us on Friday,15 February for a great night together! 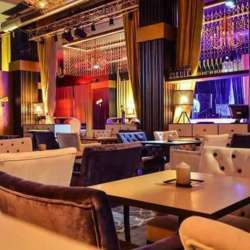 Gilda is an elegant venue located in the heart of Bucharest's nightlife scene, that becomes an exuberant club on the weekend. We will start the evening at 21:00 with some general networking and socializing in a cozy atmosphere. We have reserved an area beside the bar just for us. As usual, everyone will receive a free welcome drink (choice of beer, Red Bull, a glass of wine/prosecco or soft drink). Later, the DJ will get us in the mood for dancing and for the night birds at around 23:30 Bella Santiago- winner of X Factor Romania will sing on stage!